I recently explained how to enable and set up Restrictions on an iOS device, to ensure that your children don’t have free reign on their iPhone or iPad. If you don’t turn on Restrictions, however, you might still want to help your children ensure that their privacy is respected. 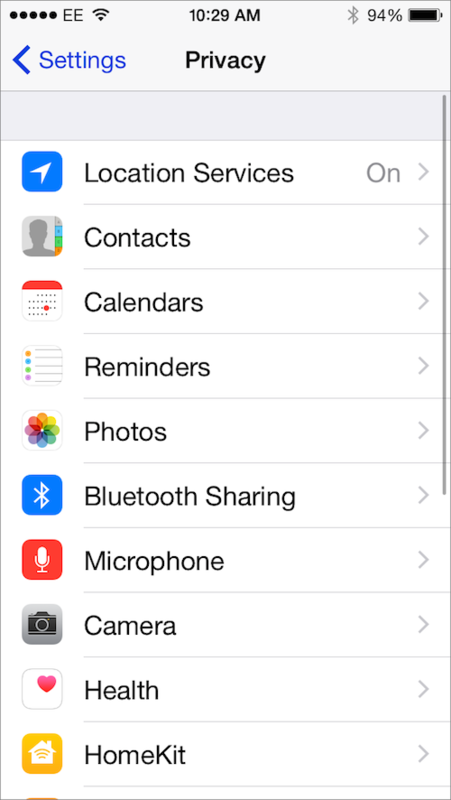 You can control what information and features certain apps can access on an iPhone, iPad or iPod touch. You might want to do it for your kids’ devices, and you also might want to do it for your own. When you launch a new app that wants to access any personal information or hardware features (such as location services, the camera, and the microphone), you’ll see a dialog asking you to allow the app to access these. You can refuse or grant access, and you can always change these settings later. Here’s how to check and adjust these settings. 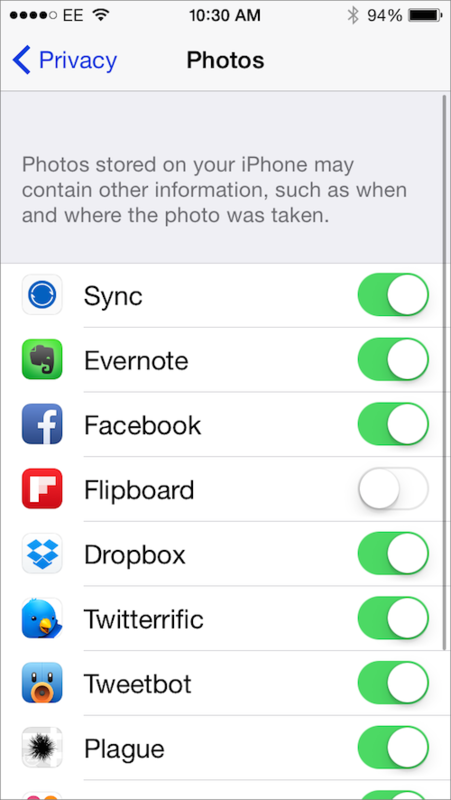 All these settings are in the Privacy section of the Settings app. 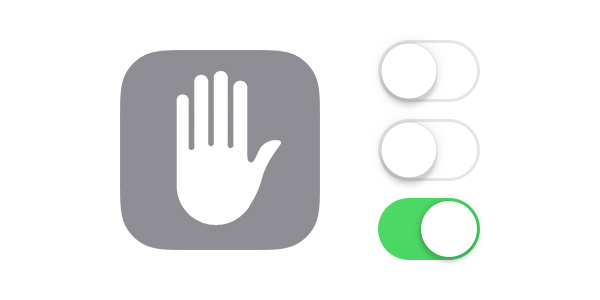 This screen lets you access a number of settings; tap any of them to see what you can change. Apps that use Location Services can tell where the device is. This is essential for maps, and useful for the camera so it records where photos were taken. 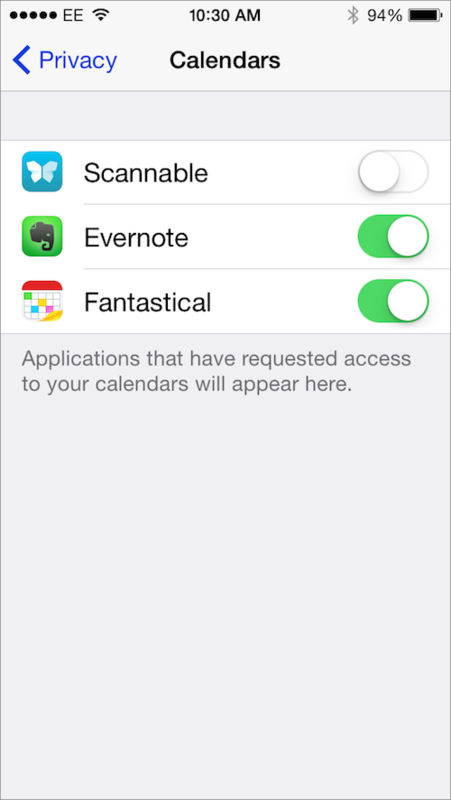 If you tap Location Services, you can see which apps have requested access to this feature. You can toggle off Location Services entirely, but it’s best to look at the apps that have requested access, and change settings or those you want to block. Never: The app will never be able to detect your location. Always: The app will be able to tell your location at all times, even if you’re not using the app, or if the device is locked. While Using the App: The app can only detect your location when it is active. This is important for two reasons. First, you may not want apps to be able to track you, and, second, location services use battery life. 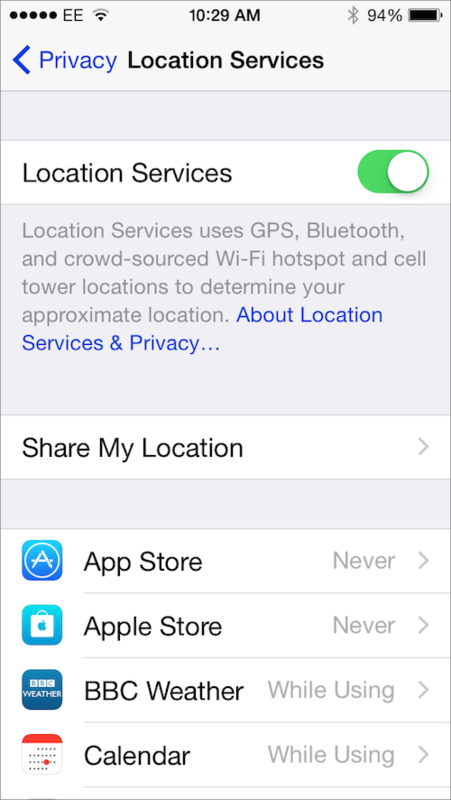 So adjust any app that doesn’t need to track the device’s location. These three settings let you choose which apps can access this data. However, Apple’s apps aren’t included in this list; thus, Mail, Contacts, Calendar and Reminders have full access. But you might want to turn off access to Contacts for, say, games or photo apps. Lots of apps want to access photos; they may allow you to share photos, or add them to documents, or they may simply want to let you save a photo as an avatar. You’ll see that social networking apps—Facebook, Twitter clients, and others—will ask for access to photos, so you can share your pictures. Again, Apple’s apps don’t show up in the list, so you won’t see Mail or Safari. You can control access to certain hardware features: Bluetooth Sharing, the Microphone and the Camera. Turning these off ensures that apps can’t surreptitiously share files over Bluetooth, record what you say, or take pictures without your knowledge. 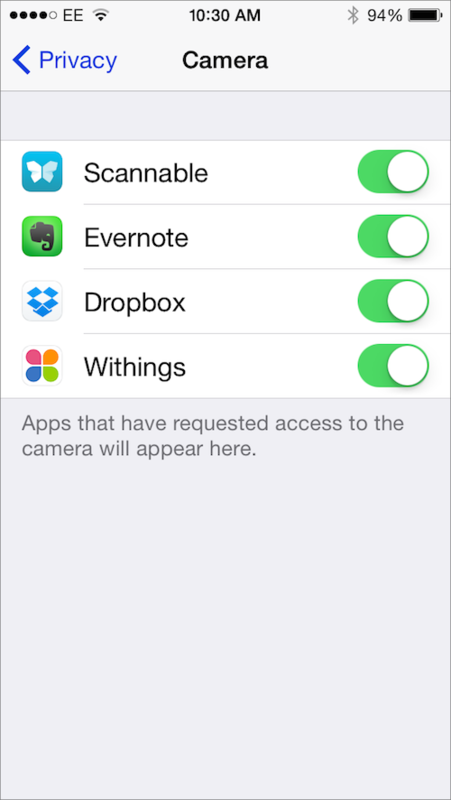 You’ll see that some productivity apps want access to the camera, for example, to be able to scan documents. iOS devices can store a lot of health information. Some of it is recorded on the device, some you can enter manually, and some syncs to the device from various apps and websites. In the Health settings, you can choose exactly which data each app can access. So you might want one app accessing your step count, but not, say, blood glucose or blood pressure readings. HomeKit is Apple’s home automation framework, which hasn’t taken off yet. When you do have apps that work with HomeKit, you’ll see them in this section. And the Motion Activity setting lets you allow or deny access to motion tracking that’s recorded by the iPhone 5s or later, the iPad Air or later, and the latest iPad mini. This counts your steps, and the data are added to the Health app, as well as other apps that you allow to access it. Choose here which apps can access Twitter and Facebook accounts and post to them. You’ll notice that, while the Facebook app shows up here, Twitter clients do not; it’s assumed that they need access. 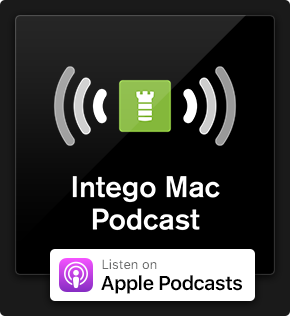 Finally, there is Diagnostics & Usage, which lets you decide whether you want to share data about the way you use your device with Apple, and Advertising, where you can toggle Limit Ad Tracking. It’s a good idea to turn this on, just because. Take a few minutes to explain the importance of these settings to your kids, and go through them and decide how to configure them. 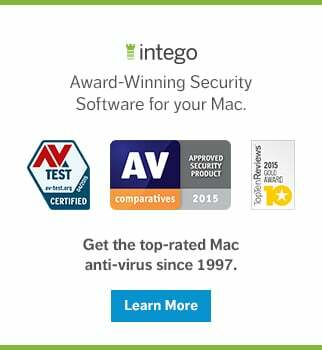 They help protect your children’s privacy, as well as your own. This entry was posted in How To, Software & Apps and tagged apps, health data, iOS 8, iPad, iPhone, kids, Location Services, personal information, Photos, privacy. Bookmark the permalink.